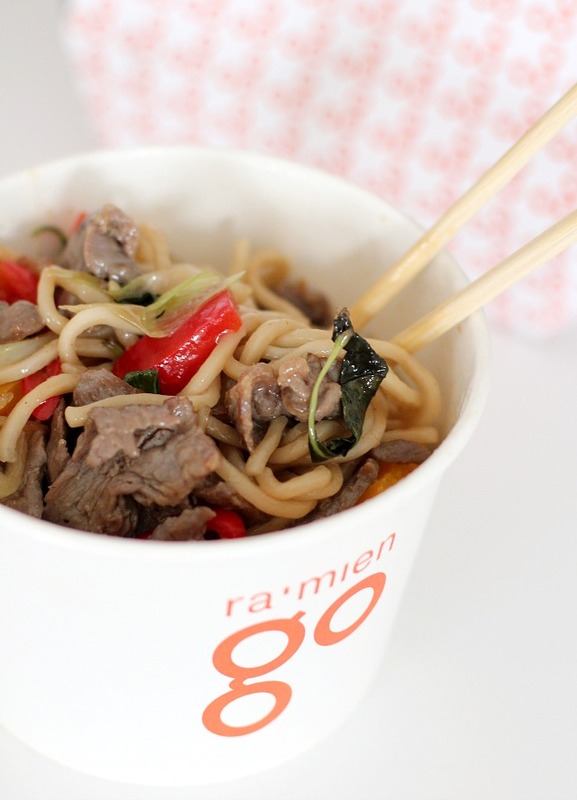 I just recently heard about ra’mien go opening at two locations in Vienna. It is part of the Ra’mien group, just like Shanghai Tan (a restaurant I absolutely LOVE) and serves delicious thai/asian food in big portions! So on Monday I decided to grab lunch to-go from their Wien Mitte location. Once I got there I actually wanted to stay, because the place also has lots of space to sit down for lunch, but since I was still a bit under the weather I just got the take-out. My order was ready in 5 minutes and just as yummy as I had expected from previous experiences at Shanghai Tan and Ra’mien. As an appetizer I had the Gyoza and then I had the rice bowl with thai basil and chili beef – but instead of rice I had it with their homemade noodles. 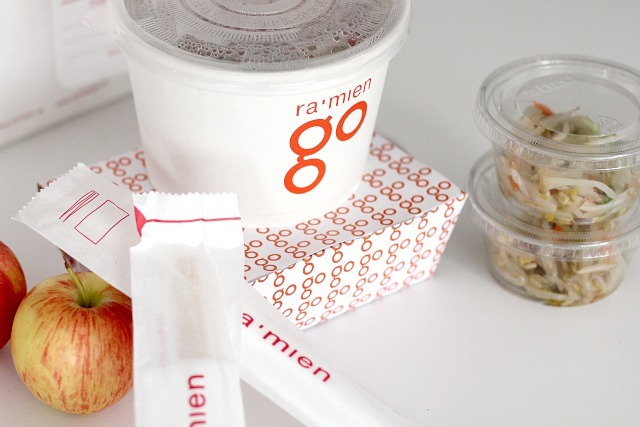 I think it is a super nice touch that they pack a little fresh apple with the lunch, which I actually had during the afternoon – free snack included 🙂 I would definitely recommend ra’mien go for a quick lunch or to go, next I can’t wait to check out the Hoher Markt location in the 1st district! 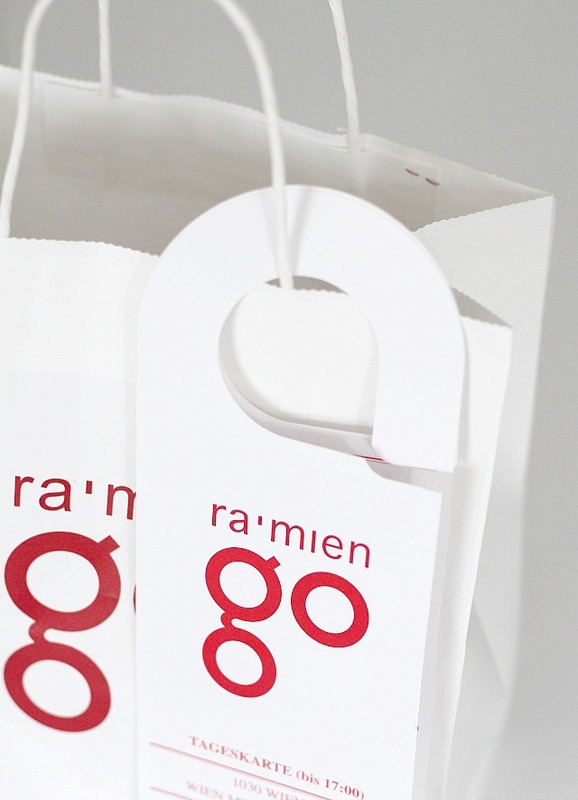 Kanns wirklich nur empfehlen 🙂 ist quasi Shanghai Tan to-go!! I love that they give you fresh fruit with it!! I’ll try the Hoher Markt location soon – hopefully I’ll also get a tangerine 🙂 love those!! I love ramen and gyoza. Looks delicious! I wish I had take-aways like that here where I live… how much were those meals? 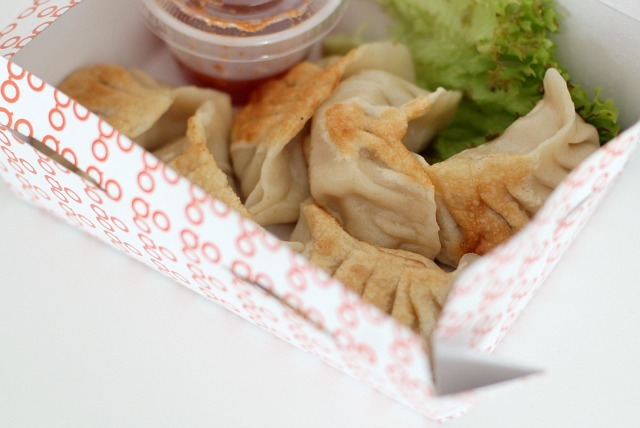 Sieht super aus 🙂 ich liebe gyoza! Ich bin jetzt schon so oft Wien Mitte ausgestiegen und war aber bis jetzt noch nie dort (dachte immer es dauert ein bisschen länger bis die Sachen fertig sind). Nach diesen Fotos muss ich’s aber nächste Woche mal probieren. Mag das Ra’mien sehr. Yum I love ramen and gyoZa…well I love me lots of Asian food!! Too bad I can’t try that place. Looks delish! !